RAK International Airport, currently celebrating its 35 years of operation, is set to make key announcements at the upcoming "World Route Development Forum" to be held in Abu Dhabi. The forum, to be held from September 29 to October 2 at the Abu Dhabi National Exhibition Centre, will see world airports, airlines and aviation leaders from 80 countries discuss global issues impacting their respective industries. 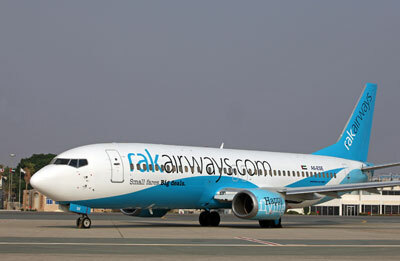 As a key exhibitor at the Routes Forum, RAK Airport will explore business and route development opportunities with potential airlines, said its top official. “RAK International Airport has been experiencing 25 per cent year on year growth and as the emirate finds itself on the map of several airlines around the world we are gearing ourselves for further growth in coming years," remarked CEO Andrew Gower. According to him, the Routes Forum is an ideal business platform for us to network, discuss and attract airlines to Ras Al Khaimah. "It is the largest annual international event developed specifically to encourage airports like us, and airlines, to meet directly to discuss new routes, global growth potential and challenges facing the global aviation industry," said Gower.